I have restored a KL600B, everything was looked at except the inside of Cylinder/ Piston / Valves. I would suspect worn Piston rings or valve stem seals but it has compression and runs good. Maybe there is something i have overlooked or that is typical for These machines? I will suggest that the cylinder, piston, rings & valve stems were Not fogged with storage oil thru the carburetor intake when the bike was stored, how long ago? Therefore there was/is probably some light surface rusting of the cylinder & rings. This may polish off with more run time. Did you squirt or spray any oil into combustion chamber, prior to rotating the engine over, during cosmetic restoration? Nowadays, people with smart phones can purchase borescopes/cameras on a wire to insert thru small holes and have a look inside. The construction of the valve train mostly reduces the possibility of oil passing between valve stems & guides. But if the cylinder was removed for piston & ring replacement one would want to refurbish the valve & seat faces and replace the valve seals also. Is there any chance that the engine oil is contaminated with fuel? a friend of mine has such a Little camera, i will try to have a look inside for sure! The Video was taken after about 30s of idling. I can only suggest that a proper top end rebuild will be required to eliminate that much smoking. The engine may have had improper air filter servicing in its past history. An un-oiled foam air filter passes all of the fine dust straight thru, wearing on lots of parts. The construction of the valve train mostly reduces the possibility of oil passing between valve stems & guides. Yep; people often opine that they have a valve stem seal issue but it is almost always the rings/bore. You can also feel them by hand so i think they are Deep enough to let oil pass up into the chamber/damage the rings! while i was at it i discovered that the timing chain has a Little bit of Play in it, you can move the chain about 8-10mm between the camshafts (up and down)... is that amount of slack normal? the timing seems fine (Looking at the marks on the camshafts) so the chain lenght should be ok. There is supposed to be a chain slipper in the top of the valve cover to take up some of that. But I have to ask if you had only pulled the center cap & spring of the cam chain tensioner or had you removed the Complete tensioner already? Would this chain slipper be attached to the valve cover or screwed in to the head somewhere? 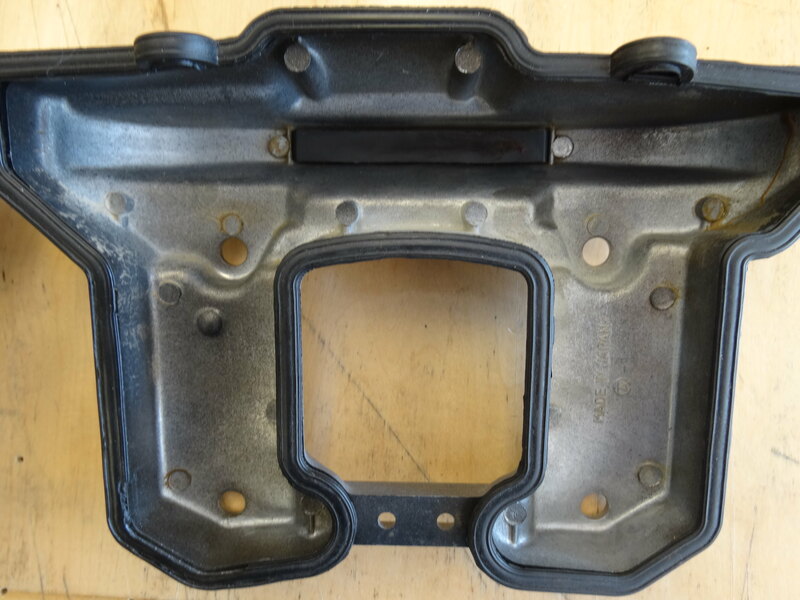 It is the black block mounted inside the valve cover.